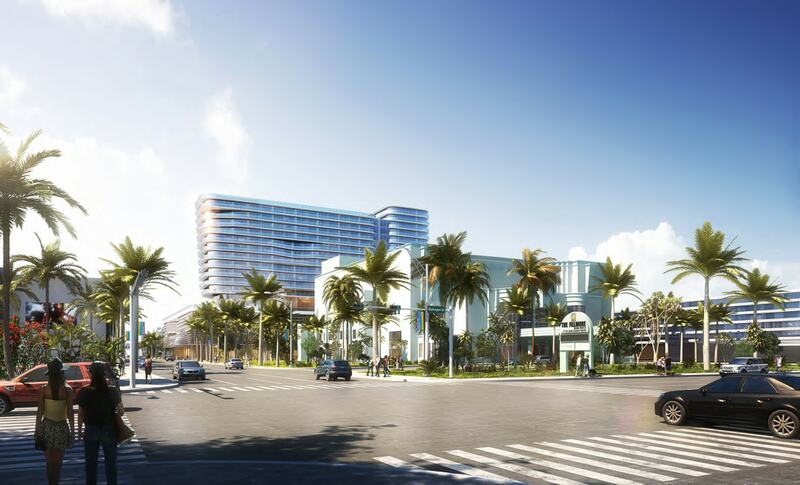 The Miami Beach Convention Center Hotel has been submitted for design review, and is set to become one of the biggest projects in the city’s recent history . 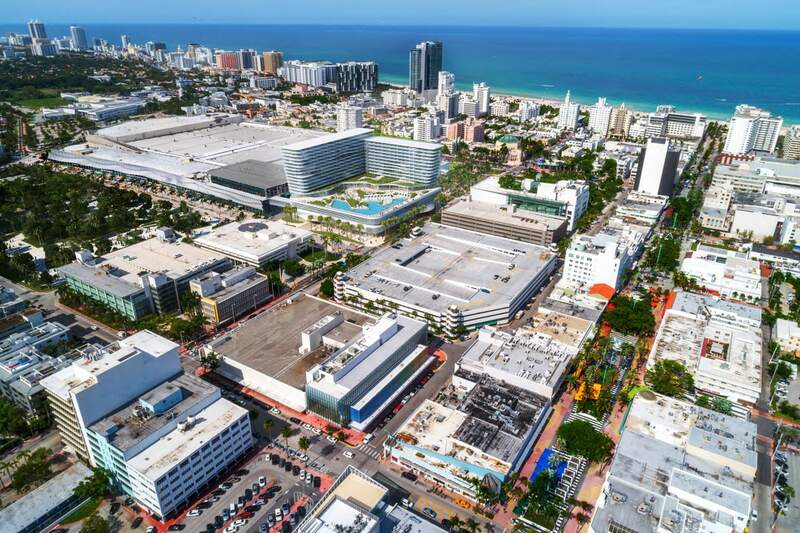 A fin system similar to the one used on by Arquitectonica on the convention center will clad the parking garage, while the upper levels will feature gray stucco and glass. The Design Review Board is scheduled to hear the proposal on March 5. 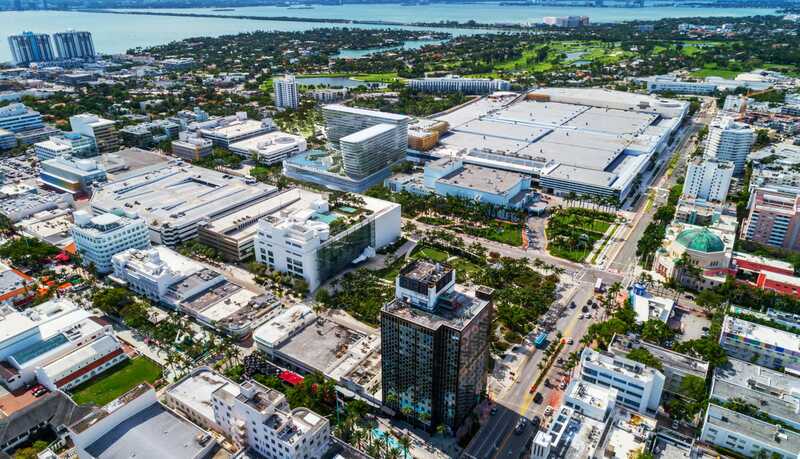 Terra Group’s Pedro Martin and David Martin each own 25% of the developing entity, while Jackie Soffer and close relatives and employees at developer Turnberry own the other half. Wish there was also a design review for the Marriott Marquis hotel and expo at MWC. Well there is, except it just has no teeth and when it does reject stuff, ends up doing more harm than good (i.e. 888 Brickell Avenue). Hard to believe the MB Convention Center doesn’t already have a hotel.. way overdue. Great project! No matter the naysayers it is necessary. 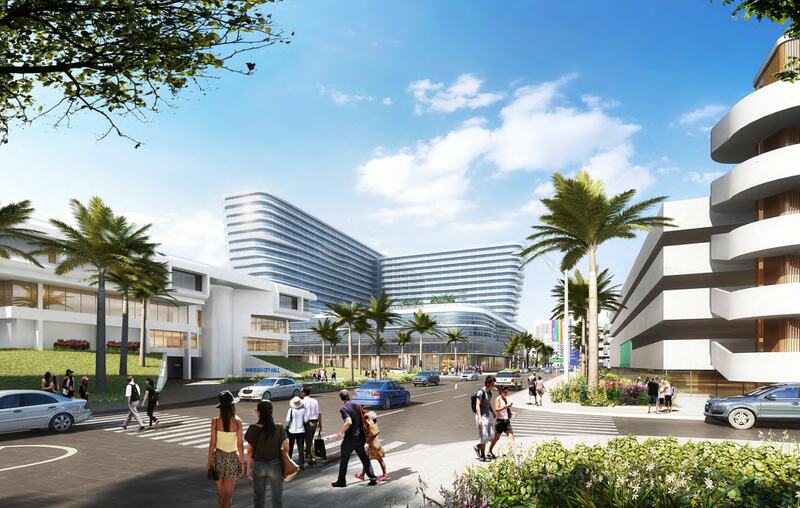 Actually, I’m more concerned with the Hotel/Convention Center project planned on the mainland in downtown Miami. too many curb cuts. for real, maybe enter off of convention center drive but exit through alley. 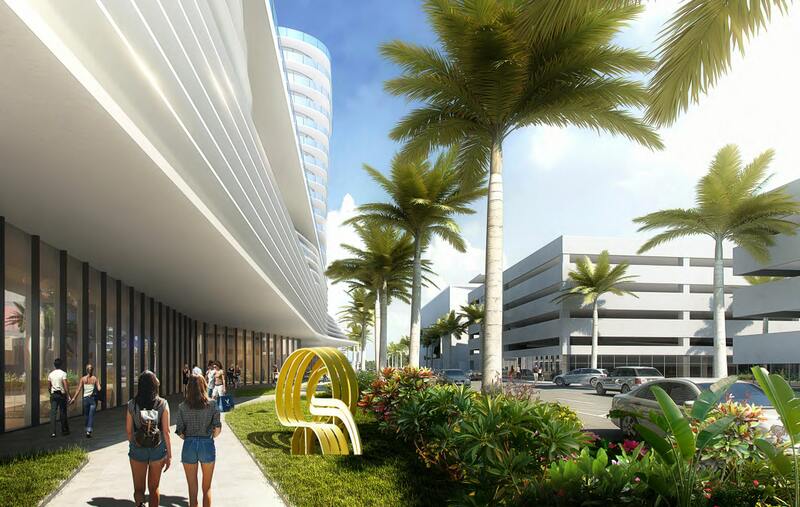 Miami Beach should have quit the convention center game and let the mainland pick it up. MiamiB has the beach and that is plenty. For residents and visitors, getting to the island when there is an event at the CC is mad. Alton backed up both ways to the Tuttle and McCarthur. Not saying they can’t have an expo space for events like bazel but not of this scale..it’s exessive and not fitting with an island that is slowly sinking. Furthermore, MB has no mass transit, and don’t say Baylink bc we all know this CC will be redeveloped again in 30 years before Baylink happens. 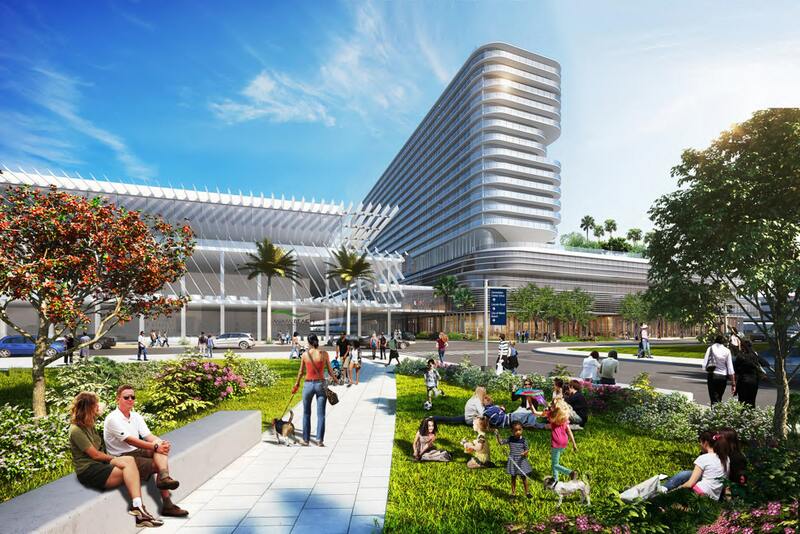 That would be Baylink with an extension to the CC lol so let’s be honest with ourselves. Metrobus operates more than 95 routes with close to 1,000 buses covering 41 million miles per year. There are hundreds of buses daily. Are they kidding? They need to up the parking spaces by at least 200, if not 300! Here’s the real collusion. 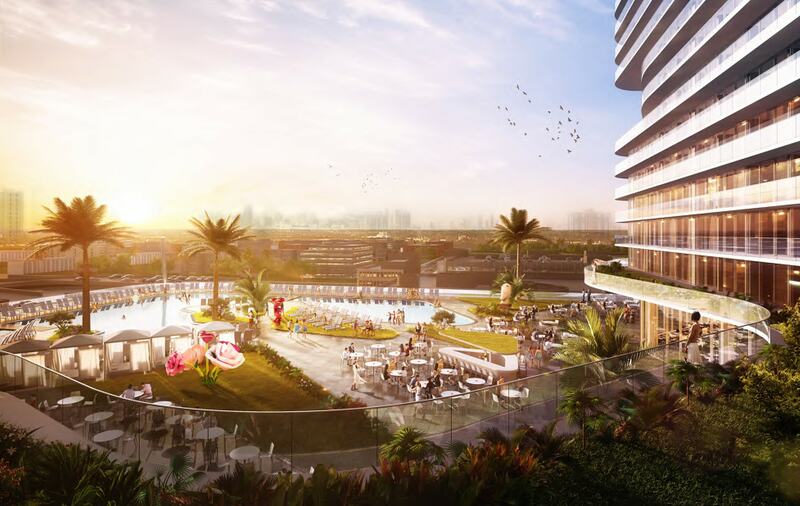 Instead of bidding together, these developers should have bid against one another. Looks like they copied and added some more floors from One Ocean. 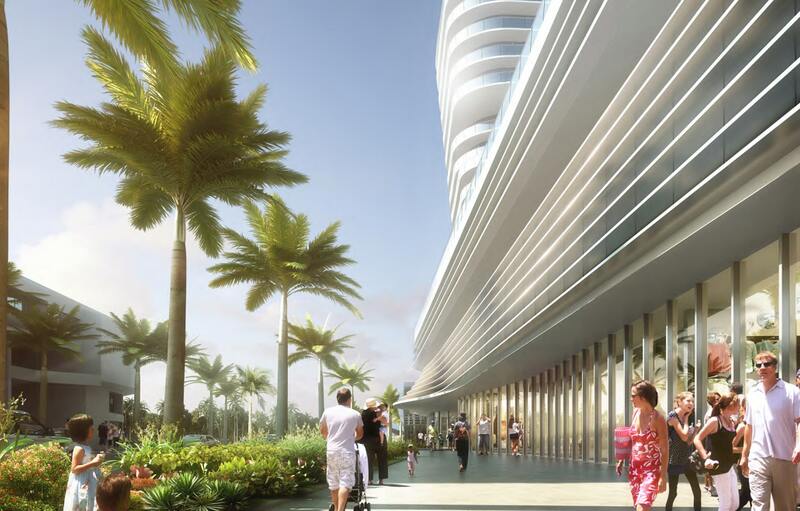 We don’t need any more towers on Miami Beach blocking ocean views from the city. Towers block ocean views?.. heck, I born in Miami 62 years ago and never noticed that. It is the convention center. It should have the sightlines. The things we have to hear!!!! !